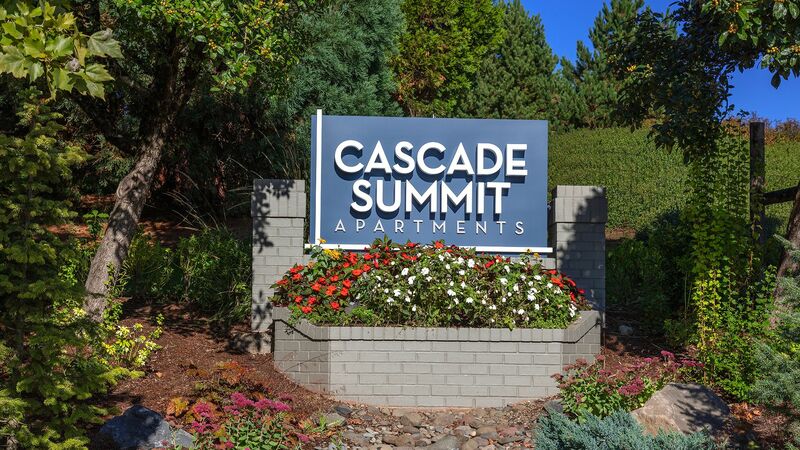 At Cascade Summit you can choose from our one, two and three bedroom flats and townhomes. Featuring large walk-in closets, ceiling fans, washer & dryer, with garages and carports available, you are bound to discover the home that best fits your lifestyle. The community is beautiful and the apartment is nice. Interior fixtures are dated and are just ok but not exceptional. So much has changed in regard to the landscaping and the appearance of the grounds. Leaves not being blown build up of mold and algae inside and outside. Paint peeling off. Trash area, mattresses building up Outside and trash on the grounds around the dumpster area. People not picking up their dog poop and if they do leaving the bag full of poop just sitting on the ground by a tree. The staff is number one. The rent is also in line with what I am getting. The layout of the apartment is good, but it is very dated. This is a nice place with a great staff. I have lived in many other apartments before, this is clearly the nicest. Too much noise from apartments around us. The people upstairs drop things and the noise startled us and our cats. I wish theyÂd eas more soundproofing. Parking can be a problem and there is no handicap parking that I can use. My handicap sticker is good for another seven years and the situation will not get better. The location is nice, but the in apartment fixtures are low quality and not what I would put in my "Home"
Nice safe community. Well established grounds with lots of trees making walking very pleasant. Great location to stores and freeway. Everyone is SO nice! Would because it is a safe community. Would not due to the yearly rising prices for an average (nothing fancy) apartment.